On my previous post I was shown how to shorten URL using Bitly API and PHP. In this post I will show you how you can shorten URL using Google URL shortener api using PHP. 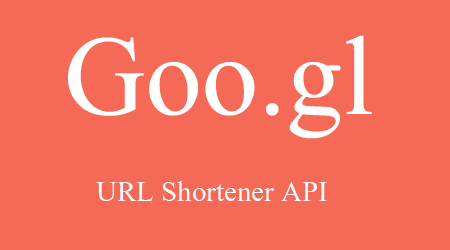 Google also provide URL shortener service (goo.gl) for its users. To working with this API you will need to get a Google URL Shorten API key. If you do not have get one from here for free. This API does not support parsing form-encoded input. it decodes short url but doesn't seem to shorten long urls? can any one tell me why? Did you know that you can create short links with AdFly and earn money from every click on your shortened urls. It is a very nice article including a lot of viral content. I am going to share it on social media. Get the Cold Pressed Oil in online. Thank you for your amazing article.Its really useful form me..keep updating such an wonderful post.. Very nice information and explanation about PHP. Thanks for sharing. keep on updating such a nice information.